Some people say, "Don’t worry about the world, find your joy and your peace that is more important". Correct, that is the first step, you find your peace. But once you have found your peace, what you do? And when your peace is connected with so many people around you, how can you be in an island of peace? Can you be? No! So, when you spread peace around you only then your peace can be permanent. So going inward is as important as reaching out outside and transforming our environment. This has to happen simultaneously. Some people say, "Forget about the world, don’t try to bring peace in the world, don’t try to reform the world, just go within yourself, you find your peace". But in The Art of Living we have found our peace, haven’t we? (Unanimous response from the crowd saying 'Yes'). The very first sitting in the Happiness Course, you are already peaceful. You understood to some extent the principles of life. And when we have found our peace and joy, it is our duty to spread it all around. That is why The Art of Living is doing so much work in the World - see in Latur (district in the state of Maharashtra), we are rejuvenating the 17th river in the country and the 13th river in Maharashtra. If someone was just trying to find his or her own peace and didn't bother about getting into river rejuvenation (here referring to any kind of service activity), then they have not find joy or peace because once you have meditated and found inner peace, you naturally want to bring it to everybody. So looks like we are one step ahead of those who are just wanting to find peace within themselves. We have already found it, now we want to spread it to everybody. Someone who has seen a good movie is all enthusiastic to tell everybody, "Hey, come see this movie, I will also come with you and watch it", isn’t it? So that is the spirit in which The Art of Living is working. You can only spread what you have and if we are spreading peace and joy it is because we have it. Those who do not have it, let them search for it and find it. We have found it and we want to spread it! When it comes to joy there is no end for joy, there is no end to personal comfort. You can go on looking for it, but the nature of joy is to share and care and that’s what The Art of Living stands for. And the basis for this is the spiritual connect, spiritual elevation and spiritual attainment. 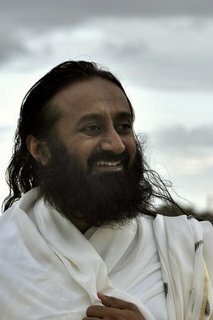 Gurudev, how is it possible to forgive and forget, sometimes it becomes impossible for me. Help me do the impossible possible. It’s a request. Know that you have the power to do it and just do it. Open your mind to the vastness of this universe. Wake up and see that seven billion people are on this planet, everyday many are being burnt, everyday many are dying. Whatever big thing you are hanging on to about someone’s action towards you, know that it is your karma that made them act that way with you. If not that person, some other person would have given you the same experience. This is what you need to realize, this is what you need to see. Look at life from a bigger perspective. That’s why I keep saying, behind every event there is knowledge, behind every person there is love, behind every object there is infinity, just know this, watch this, get this, that’s it. Dear Gurudev, could you please explain how we are responsible for all our past, present and future karmas yet at the same time we are not the doer? There are two things in you, one is that there is something inside you which is changing. Do you know that? Your thoughts are changing, your emotions are changing, your body is changing, isn’t it. And there is something inside you which is not changing, do you know that? Or else how do you even know that you are changing and that everything is changing. So you are a combination of both, the change and non-change, you are a combination of the tangible and intangible. Body is very tangible, your thoughts, your mind, your emotions are intangible. You are a combination of both - the form and the formless. Life is a complex phenomenon of form and the formless, manifest and un-manifest. So similarly, you are both the doer and the non-doer. When you are in activity you are a doer, when you are retiring or when you are getting into meditation, you are a non-doer; you are both! 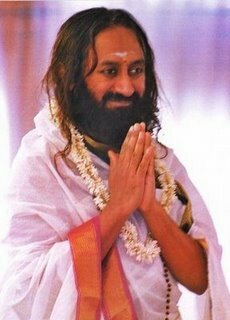 Gurudev, the Gita says, "Wise is the one who doesn’t start anything". Could you speak about what Krishna means by this and the context of this statement? Krishna also says, "In the world, you cannot be without doing anything". Not even for a few minutes someone can be without any activity. At the same time he says that also. So you cannot just take one thing out of context and try to understand it. You have to go step-by-step, otherwise you will be in conflict because the Gita is from one step to another; one step to another. You cannot understand anything in isolation. Even Arjuna says, "Why do you confuse me, you say all sorts of opposite things. One time you say Karma is important, other time you say drop all Karma and surrender to me. I am so confused". The Bhagavad Gita is meant to confuse you. Whenever confusion arises in you that time one level of understanding is broken down, and a paradigm shift is happening. .It is good. So go step-by-step. 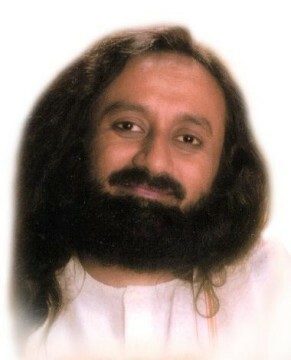 Gurudev, I feel that emotions overpower the intellect. Knowledge is only at the level of intellect, so can I assume that knowledge cannot help when my emotions are overpowering me? Knowledge does help you. If you are just flowing with emotions alone, you will be an emotional wreck. But time to time, it is knowledge which steps in and reigns in the emotions. May not be all the time, but most of the time it does. Many times you get so angry but the knowledge comes, "Okay, cool down". When your intellect says this then you cool down. So intellect cannot win all the time, but most of the time that is why you are sane. Insane people have no intellect, they are only ruled by emotions.